Item 68 before Court 2 in Supreme Court was eagerly awaited in the afternoon, with justices J.S.Khehar and Arun Mishra deciding to forego their lunch hour to dispose of the pending cases. When the case - Common Cause v Union of India and Others - was taken up, Common Cause’s counsel, Prashant Bhushan, began saying that he burnt the midnight oil to meet the deadline, set by the Bench on December 14, for submission of additional evidence, and that he could not complete the voluminous evidence which he had gathered, and therefore, would still request for more time to analyse it. 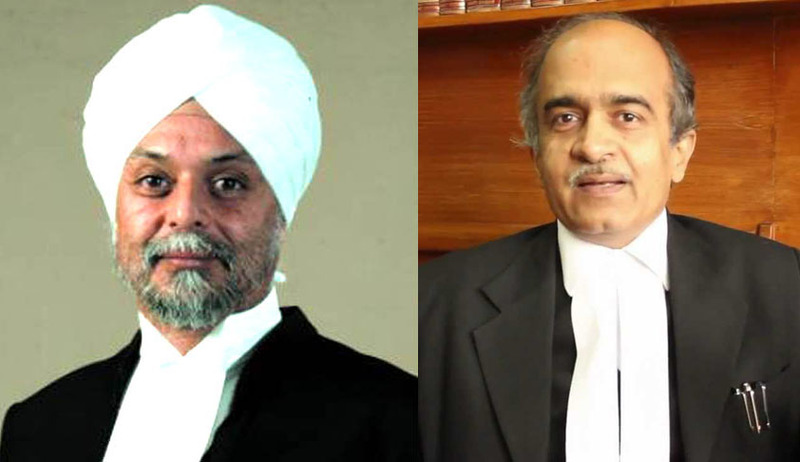 Then he stunned the bench and those in the Court room that he also had the unpleasant duty to alert the Court that if the bench continued to hear it, it might be perceived as biased, because the file relating Justice Khehar’s elevation as the next Chief Justice of India, is pending with the Government. Prashant Bhushan’s implication was clear: As the Sahara/Birla documents allegedly detailed illicit payouts to political functionaries including the then chief minister of Gujarat, who is now the Prime Minister, if Justice Khehar-led bench heard and decided the case, it would appear that his possible and likely elevation as the CJI, influenced the decision. Prashant Bhushan said, personally, he did not believe this to be so, but as an officer of the Court, it was his duty to alert the Bench, to avoid a possible perception of bias on the part of the bench. Prashant Bhushan added that personally he would have no problems if the bench continued to hear it, dismissing his suggestion. Taken aback by this allegation of possible conflict of interest from Prashant Bhushan, Justice Khehar said he would have heard the case, had he not said so. Since he said so, Justice Khehar said he could now not hear it. Thus he ‘recused’ himself, but not before terming Prashant Bhushan’s raising this issue now - and not earlier - as unfair. He asked Prashant Bhushan why he did not raise this issue on December 14, when the matter came up for hearing earlier. At that time, the CJI, Justice T.S.Thakur’s recommendation to elevate the senior-most Judge, Justice J.S.Khehar, to succeed him as the CJI on January 3, next year, had already been sent to the Government. Although the Government has not yet announced the appointment of the next CJI, it was clear then, as it was today, that Justice Khehar was in the line of succession as the next CJI. But Justice Khehar’s pointed query to Prashant Bhushan was not answered by him. Instead, Prashant Bhushan repeated what he was saying, and let it remain a mystery. Was it an afterthought that Prashant Bhushan raised this issue today, after finding it almost impossible to meet the deadline set by Justice Khehar on December 14? That day, Prashant Bhushan asked the bench whether it was unreasonable to seek more time, to complete the analysis of the voluminous documents which gathered only a few days ago. To this, Justice Khehar said yes, as the case cast aspersions on Constitutional functionary like the Prime Minister, who can’t work when the unsubstantiated allegations in the top court are kept pending for long. Prashant Bhushan disagreed with this, and contended that he did not make any allegation against the Prime Minister, and only sought a probe into the revelations from the raid, which he claimed, would be otherwise quietly buried. Justice Khehar, however, contended that keeping it pending till after the Christmas vacation is over, would make it appear as if the bench is siding with the petitioner, and giving it more time, just to enable it to bring more materials to substantiate its allegation against the Prime Minister. At this stage, both the Attorney-General Mukul Rohatgi and Justice Arun Mishra, vehemently protested against Prashant Bhushan’s raising this issue at this stage. Meanwhile, Justice Khehar and Justice Arun Mishra discussed among themselves, and gave Rohatgi two options, namely, either ask the Chief Justice of India, at 3.30 pm today, to list it before another bench, or accede to Prashant Bhushan’s plea for an adjournment till after the Christmas vacation, so that he could complete his study of the documents in his possession. Rohatgi reluctantly acceded to the latter option, saying he did not want the matter to be taken up with the Chief Justice - but not before describing Prashant Bhushan’s raising the issue today as the ‘cheapest tactics’. Prashant Bhushan did not react to the insinuation, and let it go. The bench then fixed January 11, 2017 when the matter will be listed again for hearing. It is too early to speculate which bench will hear it on January 11, as Justice Khehar himself, as the next CJI, has to decide the bench composition. As by that time, his appointment as the next CJI would not be a pending file with the Government, he would be free to hear it himself, rather than assign it to another bench. However, the allegation of possible ‘conflict of interest’ if he heard the case appears to have hurt him deeply, and it is improbable that he would continue to hear it, even after becoming the next CJI. During the arguments today, the bench repeatedly asked Prashant Bhushan whether he thought this Court could be influenced by the Government to decide the matter in a particular way. To this Prashant Bhushan replied that he did not believe so, but was concerned with the public perception, in the interest of the institution. While it would appear that Prashant Bhushan won this battle of wits with the bench, and succeeded in securing for himself more time, which he requires for analysis of the documents, it did leave the question of why he did not raise the issue on December 14 unanswered. It might have been intentional, or it might not have occurred to him. Either way, should not the bench itself recuse from hearing it, if what he suggested, could not be easily discarded? The fact that Justice Khehar decided to recuse, shows that he did find Prashant Bhushan’s suggestion plausible. After all, Justice Khehar, when he did not agree with the plea for recusal, before he began hearing the NJAC case last year, gave elaborate reasons, along with his colleagues on the Constitution bench, on why the plea for recusal, put forward by senior counsel, including Fali S Nariman, was unjustified. Compared to that, his recusal today, after describing the plea as “very unfair” only because Prashant Bhushan did not raise it on December 14, does appear to be an impulsive reaction, and not a well thought-out one. Indeed, when item 72 - Centre for Public Interest Litigation v Union of India involving 2G scam cases - came up before the same bench today, it was business as usual. The bench accepted the suggestion CPIL’s counsel, Prashant Bhushan that notices may be issued to the CBI, and the Enforcement Directorate on his plea seeking to attach Aircel’s assets. The petitioner alleged that investigation on attaching Aircel’s assets is not progressing, as Aircel promoters, Malaysia-based Maxis Group of companies are not responding to multiple summons issued to them. Prashant Bhushan alleged that spectrum owned by the Group has not yet been attached. The bench has already listed it for further hearing on January 6, based on an IA moved by Subramanian Swamy in the same case. But the hearing of the case by the Bench and the same counsel, forgetting the rancour and the animosity which characterised hearing of Item 68 only a few minutes earlier, underlined the resilience of the Court and its counsel, and its innate ability to regain its composure, so soon after its brief eclipse.